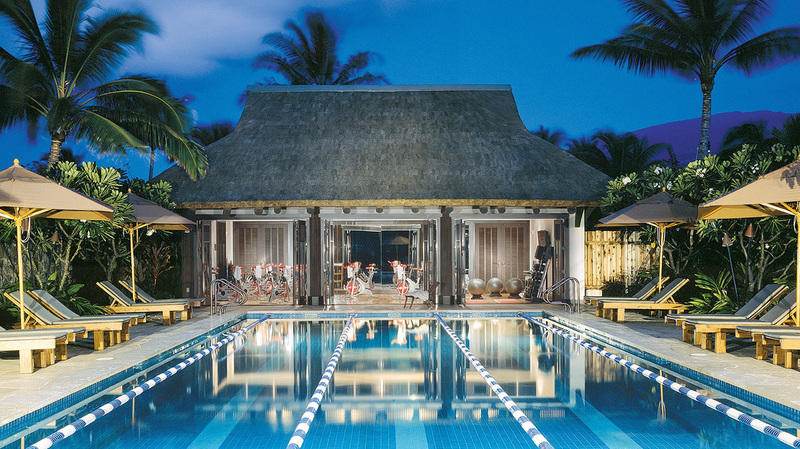 The Beach Club at Kukio - Kukio Golf and Beach Club. Kona, Hawaii luxury real estate development. 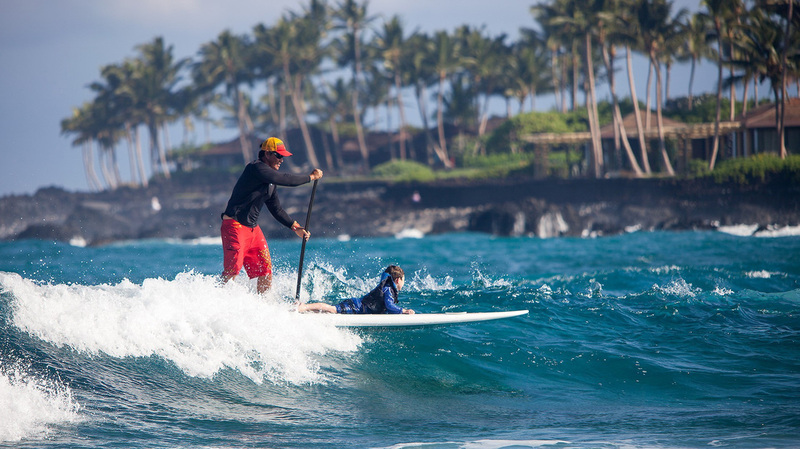 The Kūkiʻo Beach Club is the heart of this private community. 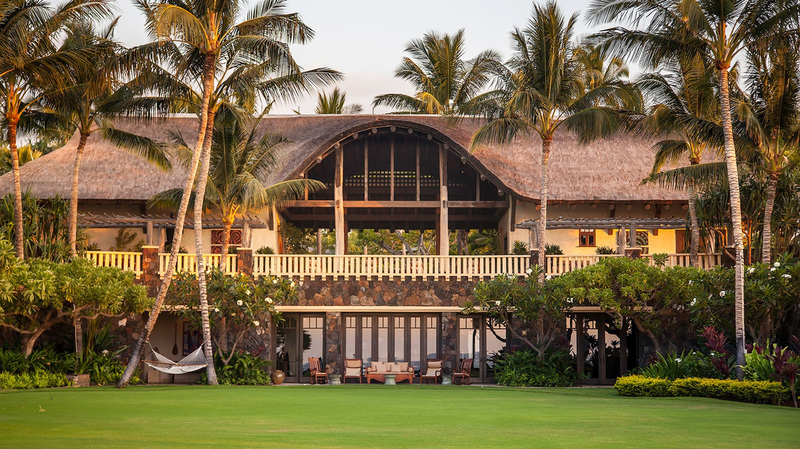 An emerald green lawn anchors the club with sights of historic Hawaiian ﬁsh ponds, archaeological preserves and breaking surf. 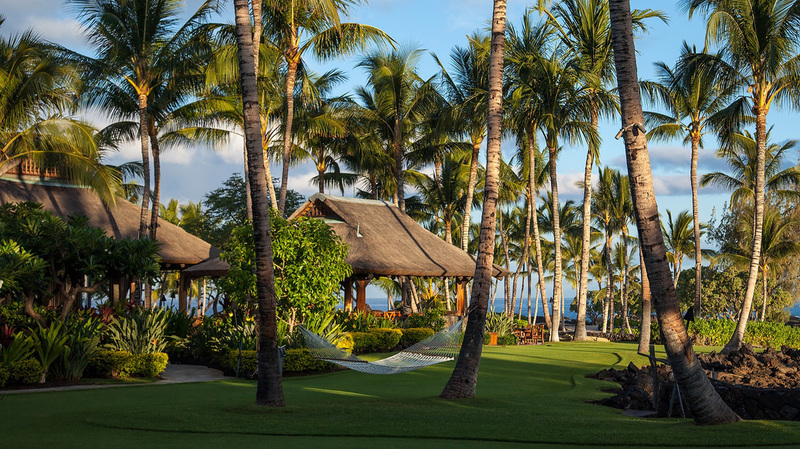 Upon arrival, met by Club Concierge, The Clubhouse overlooks views of Maui, the Kūkiʻo dining pavilion, beach bar, fitness facility and spa, Outdoor Pursuits hale, and swimming pools. The Club's Library has been collected for members to read and enjoy, while the Games Room provides a viewing area for sporting events. The Kūkiʻo 10-hole short course is located near the Beach Club and includes a variety of practice areas and challenging shorter holes.